In an unprecedented move throughout the globe, Serbian officials including defense minister Aleksandar Vulin (photo) are to start hunger strike because of the anti-government protests, which they mark as “violent” and “fascist”. Besides Vulin, Belgrade deputy mayor Goran Vesic, the leader of the ruling party’s MP’s Aleksandar Martinovic and dozens of other lawmakers have also announced hunger strikes. The hunger strike is to start on Friday. Although the protests that have been taking place since December did not result in significant achievements so far, ruling Serbian Progressive Party (SNS) and its leader, President Aleksandar Vucic, pay enormous attention to what they label as marginal gatherings. At the rally held in Novi Sad on Thursday evening, Vucic repeated that he would not talk with the leaders of the opposition group Alliance for Serbia (SZS), who he marked one more time as fascists and thieves. Minister Vulin has yet to explain his decision to go on a hunger strike. However, Prime Minister Ana Brnabic said that the hunger strike represents Vulin’s way to “fight” against alleged violence of the protesters. Speaking in Dubrovnik, where she has taken part in the conference organized by China and 16 European countries, Brnabic singled out the storming of protesters in RTS – the public broadcasting service – last month as an example of violence. She also claimed that SZS continuously offends women. The protesters demand resignation of RTS director for allegedly biased reporting. Earlier in April, the female members of staff of Belgrade City Council have prevented opposition councilors from entering the building. The action has obviously been organized by SNS. However, ruling party officials and pro-government media claimed that the opposition attacked the staff. In one of many reactions on defense minister’s decision to start hunger strike, leader of the opposition party Nova Srbija Velimir Ilic said that Vulin’s move represents evidence of his insanity. On Wednesday, after meeting with army leaders, Vulin released an announcement according to which the military would prevent any attempt of a coup. However, he did not say who allegedly planned a coup. The deputy mayor of Belgrade Goran Vesic, who is a close ally of president Vucic and is seen as de facto mayor, told Tanjug news agency that he would go on a hunger strike because of the “hooliganism” and “terror” of the opposition. 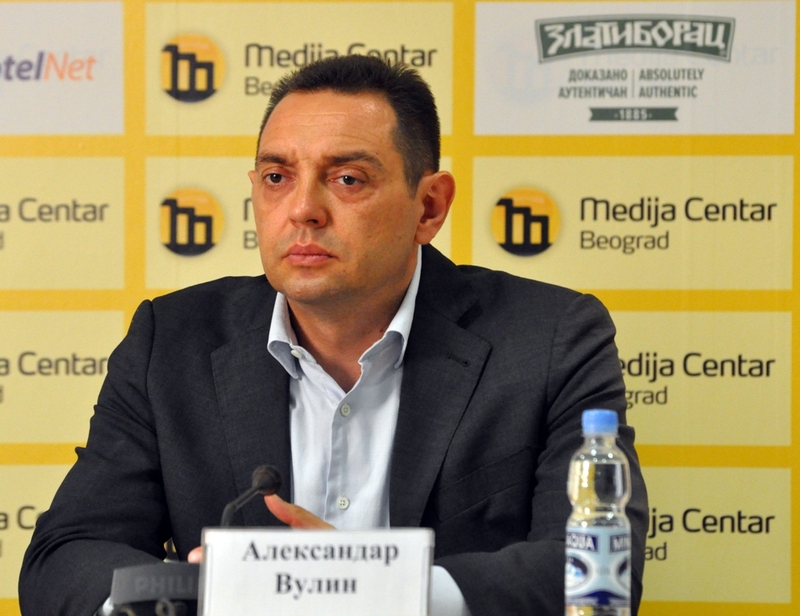 Vesic said that a “group of some 50 people organized by Bosko Obradovic and Dragan Djilas terrorize the citizens of Belgrade, destroy city property and prevent construction works in the city”. Obradovic and Djilas are SZS leaders. Obradovic is persistently labeled as “fascist”, and Djilas as a “thief”, alongside another SZS leader, Vuk Jeremic. Vesic earlier claimed that moving plastic barriers from the construction sites during the protests would cost “tens of thousands of euros”.